President Ibrahim Mohamed Solih has called upon all fisheries companies to make full use of the “Masdhoani Account” financial scheme introduced this evening, as per the electoral pledge targeted for fishermen. The President made this statement while speaking at the inauguration of the newly introduced scheme. “Masdhoani Account” is a government initiated financial scheme, set up in collaboration with Bank of Maldives and Ministry of Fisheries, Marine Resources & Agriculture, as a means of including fishermen in the banking system. 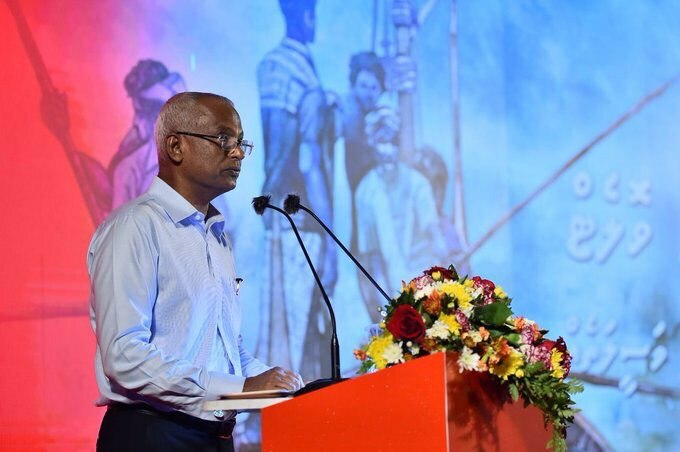 Speaking at the ceremony, President Solih described the Maldives as a country of fishermen, one which has always been heavily dependent on the industry economically. He said that further development of the sector, which has been passed on for generations, is a high priority of this administration. Continuing on, the President said that it is also one of the most important goals of this administration to ensure the fisheries industry reached future generations, with the adoption of modern technology, while reflecting the ever-changing world economy and the global environment. In this regard, the President highlighted the numerous efforts of the administration within its national development agenda, to increase the contribution the fisheries sector made towards the country’s economic progress, and to make the profession more popular. He noted that the responsibility of taking the fisheries industry to the next level falls equally on the government, fishermen, and fisheries companies. 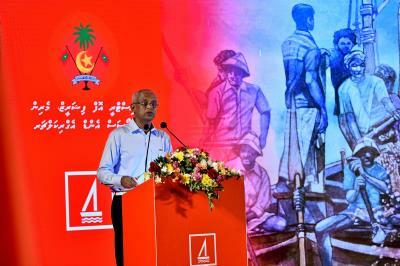 In his speech, President Solih noted that true development can only be achieved when the common man’s income is improved, and appealed to everyone to work together towards the common goal. He said that the administration’s aim was not simply to increase the country’s GDP, but also to increase the amount that is shared by the average working class Maldivian from the total national income.